A new technique is enabling a patient’s lung to keep breathing for up to a day outside their body. Doctors are hailing it as a success that could see the number of transplants in a year double and allow them to save hundreds more lives. Until now, donor organs have had to be placed in a refrigerated box and stored in ice to keep them working as new as they were being ferried to and from hospitals. But that only allowed the organ to live for six hours. The machine at London’s Royal Brompton and Harefield hospital can stretch this to 24 hours. The Organ Care System, or OSC, not just stores the organ, but keeps it in the same condition as it exists in the body. It consists of a sealed plastic box, a pump that feeds blood to the organ and a device to inflate and deflate the lung. The technology could also improve the lung’s condition, the developers say. That in itself increases the likelihood of the lung’s suitability for a patient; it should be noted that, at present, only about 20 percent of donor lungs are good. The hospital, Brompton Royal, already made headlines last year with their technique for keeping donor hearts alive. Its head of transplant surgery, Andre Simon, already has 12 OCS surgeries under his belt. He underlines its importance in that we can finally avoid putting organs on ice. “Previously we had no alternative,” he told the Daily Mail. 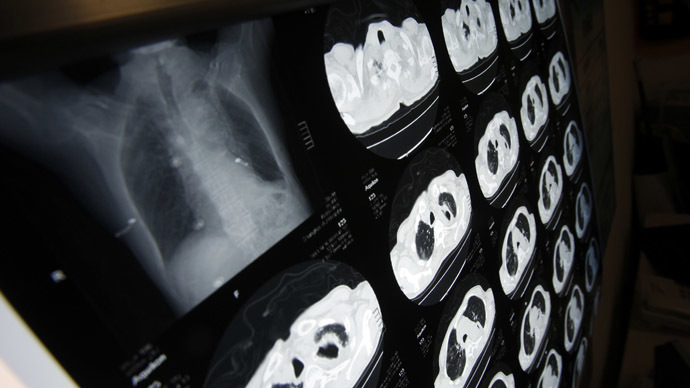 OCS can “quadruple the length of time an organ can be kept before transplant, potentially doubling the number of surgeries and revolutionizing lung transplantation,” he said. There have been numerous other strides in the field taking place in the course of the past several years, including Australian doctors transplanting dead hearts into living patients last year, as well as the world’s first self-regulating artificial heart transplant in France in late 2013.